A fast absorbing, light-weight beauty oil. Infused with 24k Gold, rosehip seed oil and pure botanicals. It is widely known that products created with gold have many benefits on the skin. Among to various benefits, Gold slows collagen depletion and the breakdown of elastin to prevent sagging skin. It also stimulates cellular growth to regenerate healthy, firm skin cells and provide a visible tightening effect. 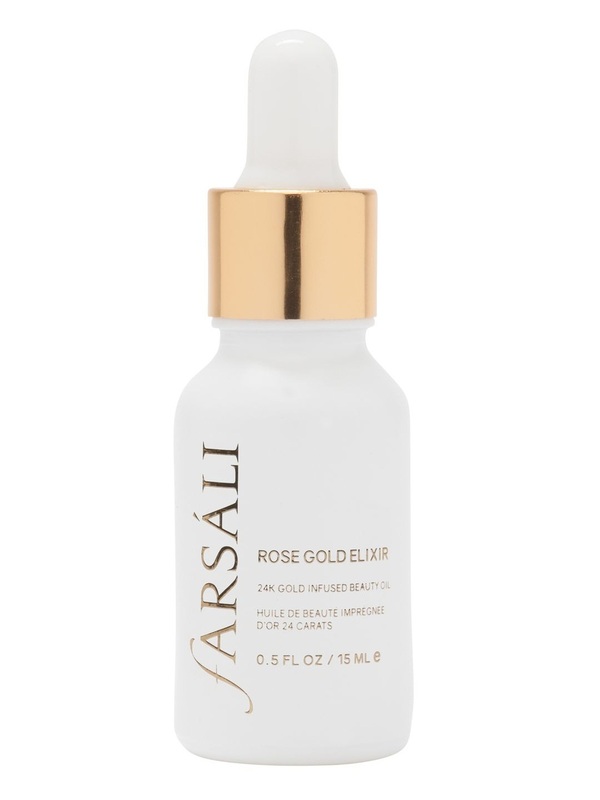 Simply stunning as a lightweight moisturiser, Farsáli’s Rose Gold Elixir earns its title thanks to its precious ingredients. 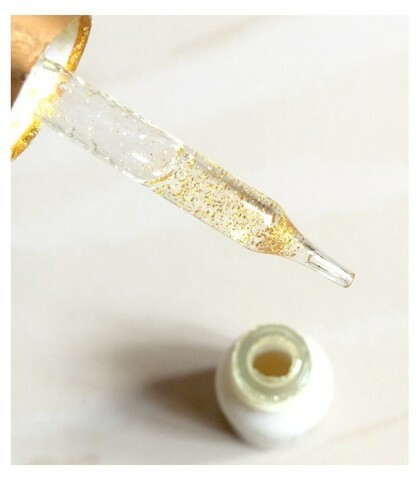 Pure 24K gold flakes absorb into skin to leave it glowing and radiant, while the base of rosehip seed oil – made up of 77% fatty acids and high in linolenic acids, vitamin C and vitamin A (retinol) – helps to plump and hydrate, reducing the appearance of fine lines and hyperpigmentation. Kind to all complexions, this serum has caused a social media furore and gained an esteemed position in some of the most-viewed make up routines Instagram has to offer. It’s ideal for hydrating lips prior to applying lipstick (especially your favourite liquid matte) and it can be blended with your base product or used as a primer for a glowing, flawless finish. And the fun doesn’t stop there – this ingenious, uplifting, citrus-scented elixir miraculously revives dried cream products, offering a new lease of life to the concealer, contour, highlight and brow products you thought were beyond saving. Developed in the USA, by a team of cosmetic scientists, this beauty oil is an effective lightweight moisturizer with added anti-aging benefits (for all skin types). 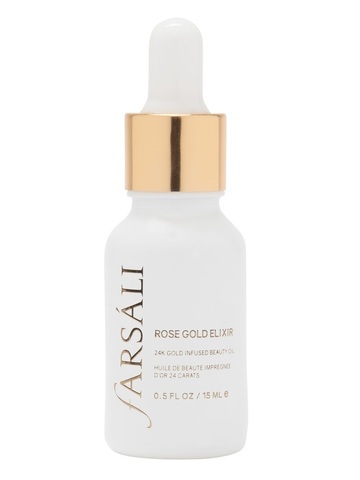 Use the Rose Gold Elixir as a daily moisturizer, to keep your skin healthy and hydrated. The pure 24k Gold flakes absorb right into your skin, leaving your skin glowing and naturally radiant. The base of this luxurious Elixir is Rosehip seed oil. Rosehip seed is made up of 77% fatty acids -- high in linoleic and linolenic acids, vitamin C, and vitamin A (retinol) -- all essential for skin health. Rosehips have been found to regenerate tissue and reduce the appearance of fine lines, hyperpigmentation, and stretch marks.